Milo Parker is a young actor who began his acting career in 2014 at the age of 12. He has, since then, appeared in a number of films and the TV series The Durrells for which he has come to be widely known. Even though his career is still pretty new, he has shown great promise of attaining great heights with the roles he has taken thus far and has been recognized at the Saturn Awards, as well as Critics’ Choice Movie Awards. On October 1, 2002, Milo Parker was born in Ipswich, the United Kingdom. Growing up, he always loved to be an actor and because of that, he was sent to Youngblood Theatre Company in his home country where he trained to improve his acting skills. However, it was until his fourth year in school that he realized how much he loved the arts and wanted to do it professionally. He started going to a drama club where he met his future agent, Andrew Braidford who runs the club with Beth Tuckey. For his education, Parker goes to Farlingaye High School although because of his acting gig which takes a lot of his time, he is also tutored out of school. Milo Parker made his debut as an actor in 2015 when he was offered the role of Connor in the science fiction film, Robot Overlords. In 2015, he appeared in Mr. Holmes and Ghosthunters on Icy Trails as Roger Munro and Tom Thompson respectively. In 2016, he got to portray Hugh Apiston in Miss Peregrine’s Home for Peculiar Children. What would come to be his biggest role thus far, is his portrayal of Gerry Durrell in the TV series, The Durrells. 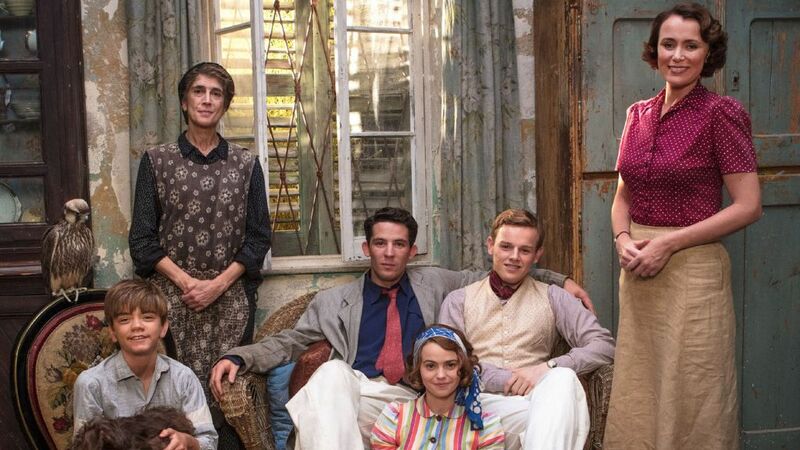 Known as The Durrells in Corfu among American viewers, the series tells the story of Gerald Durrell from his autobiographical novels. His role in Mr. Holmes earned him a Saturn Nomination for Best Performance by a Younger Actor which he lost to Ty Simpkins who won it for the portrayal of Gray Mitchell in Jurassic World (2015). The same role got Parker another nomination at the 21st Critics’ Choice Awards for Best Young Actor/Actress. As regards his family life, Parker has not said much about that. However, it is known that he has a sister whose name is Amelie Parker. He had a brother Jacob Gabriel Brice Parker who died on 9th April 2001, the same day he was born. Even though his father’s name is not known, his mother is known as Sadie Ann Parker, and both his parents have been very supportive of his career path. With a closely knit family, Milo always shares many pictures of his parents and sister on social media. Beyond his role in The Durrells in which he portrays the young British zookeeper and conservationist Gerald Durrell, Milo has always been a lover of animals. However, it is the role that helped him to develop an affinity with them. He is now an ambassador of Durrell Wildlife Conservation Trust, a Dallas-based conservation organization that seeks to raise awareness of endangered species. He was made a global ambassador of the organization in 2016. Of course, acting is the most important thing in the life of Parker, but in the same way, he also loves animals and works as hard as possible to protect those in danger of going extinct. His other hobbies include cycling and swimming. On his dating life, there is nothing available in the public domain, including his social media to suggest that Milo is in any relationship with anyone. More so, there is no indication that he has ever dated anyone in the past. Parker has enjoyed a lot of support from his family. While shooting far from home which can sometimes take him weeks and even months, his father always came out to keep him entertained and his mother and sister would also visit him. He also has his grandparents who live in Suffolk as part of his family. Hoping to play the role of James Bond someday, Milo Parker presently has a height of 5 feet 6 inches, although he is expected to still grow taller. More so, he has blue eye color and dark brown hair.